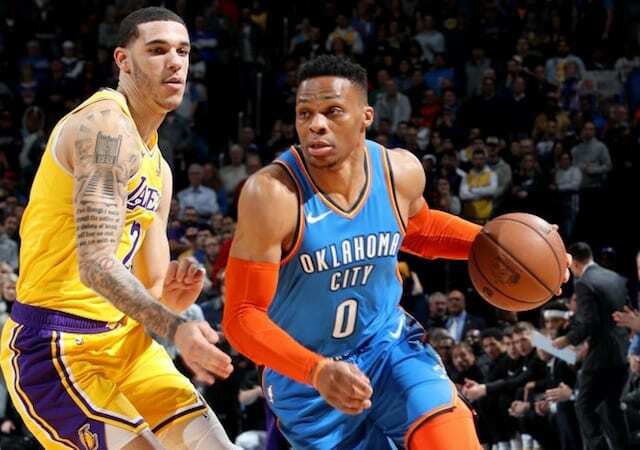 In perhaps their best win of the 2018-19 NBA season, the Los Angeles Lakers defeated the Oklahoma City Thunder despite trailing by 17 points in the first quarter. As the Lakers had five turnovers in the first five minutes of the game, head coach Luke Walton looked to the bench unit to compete, and they delivered. Led by Ivica Zubac (26 points and 12 rebounds) and Josh Hart (12 points, 10 rebounds and 5 assists), the Lakers quickly cut the deficit to five points in the second quarter. With momentum on their side, Brandon Ingram, Kyle Kuzma and Lonzo Ball returned and all contributed in different ways. After struggling from the three-point line through 43 games, Kuzma was 7-of-12 and finished with 32 points, 8 rebounds, and 4 assists. 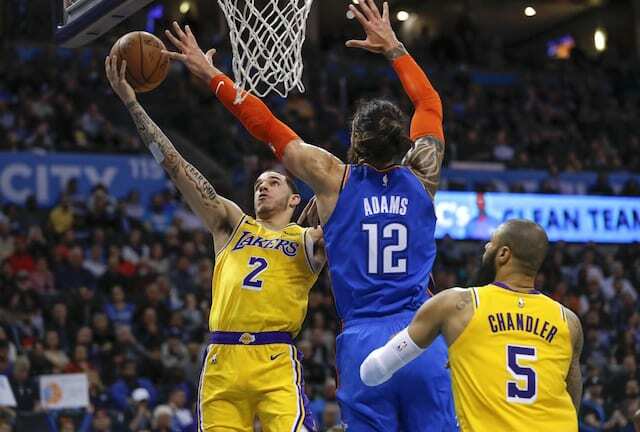 Ball, who struggled in his first career matchup against Russell Westbrook two weeks ago, finished with 18 points, 6 rebounds and 10 assists. While Westbrook was 1 rebound away from a triple-double, Ball held him to 7-of-30 shooting. Although Ingram was 1-of-9 shooting from the field, he did not let it affect the rest of his game and finished with 11 assists (career high). Considering all of the injuries and being unable to close out games, the young core showed growth to begin a challenging three-game stretch. With LeBron James expected to miss at least one more game with a groin strain, these experiences could bode well for the Lakers long-term. Reminder: Vivid Seats is the Official Ticket Reseller of LakersNation.com. New Customers use “LAKERSNATION” (all CAPS) in the Vivid Seats App on your phone and get 10% off any Lakers home game ticket order for the remainder of the season.